We dyno tuned a 2011 CTS-V with just a cat back this morning, talk about a nice family hauler! Picked up 40 rwhp and 31 ft/lbs with the tuning alone, ending up with 515 rwhp and 497 ft/lbs tq. Love these LSA's, they respond really well to tuning and modifications. 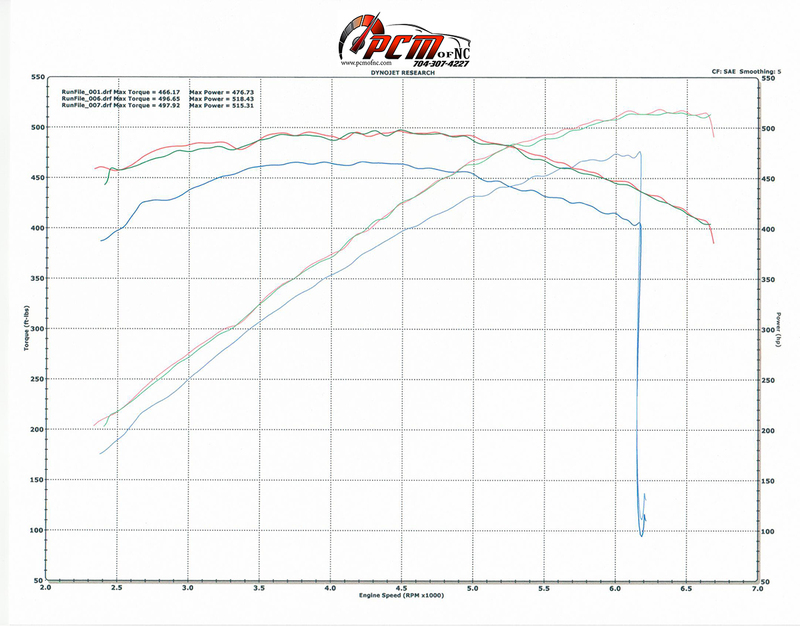 I'm finishing up an intake/headers 2012 ZL1 (also LSA) right now on the dyno, results on that soon! Last edited by [email protected]; 04-24-2013 at 08:49 PM. Very nice. Any chance to get the RPM on the bottom? The CTSV was a auto. I'll fix/rehost it tomorrow! Finished the ZL1 at 557 rwhp! Picked up 32 rwhp with the tune alone. 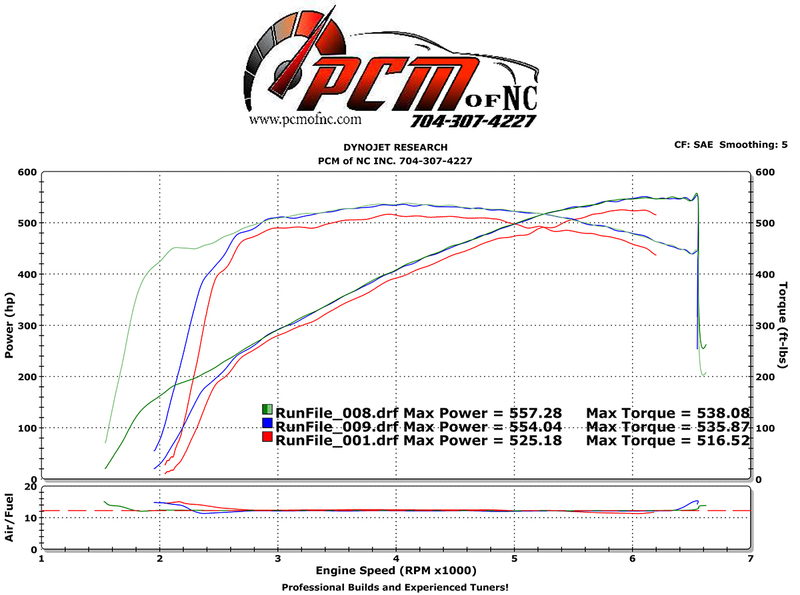 Mods are PCM of NC dyno tune, Kooks headers, and Rotofab intake! I love how well those motors respond to the basics. Nice work as always Alvin. Great results, Alvin! 557 at the tires with just exhaust, cold-air intake, and tune. Port the blower snout with adding a TVS 2300 from a ZR1 and hello mega boost! I still love these LSA blowers. The prices aren't what they used to be, but I just priced out an entire LSA setup, ever part NEW from GM with an AFCO HX and upgraded coolant pump and the price was still under 4k*. Cost of plumbing would bring things up a little but how can you beat that? Sure, you could put a turbo setup together for cheaper but to have such a simplistic, proven reliable setup that makes instant power and can support over 600whp easily for that price...it's a hell of a deal still. Last edited by kris396ss; 08-07-2018 at 11:14 AM. Quick Reply: Nice results on an LSA CTS-V today (morning)! ZL1 Dyno Added (afternoon)!